If the New England Patriots aren’t able to retain impending free agent tight end Martellus Bennett, who is expected to command major money on the open market, then they will be in the market for help at the position behind Rob Gronkowski. Acquiring Martellus Bennett from the Chicago Bears for mere pennies on the dollar was a game-changing move for Bill Belichick’s New England Patriots. In most years, a season-ending injury to Rob Gronkowski is a huge setback to the Patriots Super Bowl hopes, but the Pats were an even more fearsome juggernaut with Gronkowski out. Now, the Patriots did miss Gronkowski, but so many players stepped up after the injury that it didn’t matter. Julian Edelman played the best football of his life in the second half of the regular season, but the real hero was Bennett. After being pushed out of the Chicago Bears for rocking the boat, Bennett produced a fine bounce-back season in Foxboro. He caught 55 passes for 701 yards and seven touchdowns, and he was a real workhorse with 1,066 regular season and postseason snaps (Pro Football Focus). Bennett will hit free agency this offseason at the age of 29, and the consensus is that he will look to score a big payday as his career winds. The Providence Journal’s Mark Daniels believes the Patriots will try to keep him, and CSN New England’s Phil Perry even sees the franchise tag as being a viable solution to keeping Bennett around. However, the Patriots don’t usually spend on older players, and ESPN Boston’s Mike Reiss doesn’t see the Pats actively competing with other teams for Bennett’s signature if it comes down to that. This leaves the door open for Bennett to be another one-and-done Super Bowl winner with the Patriots, and, if that’s the case, the team will need to look for other solutions. If the Patriots are interested in signing another free agent tight end, here are five possible options, with the caveat being that all five players are significantly worse than Bennett. In the 2016 offseason, the Indianapolis Colts allowed Coby Fleener to walk, as they watched him sign a big-money deal with the New Orleans Saints that he failed to live up to in his first season. The Colts did, however, keep Dwayne Allen on a four-year, $29.4 million deal that looks less palatable than the Saints signing of Fleener. 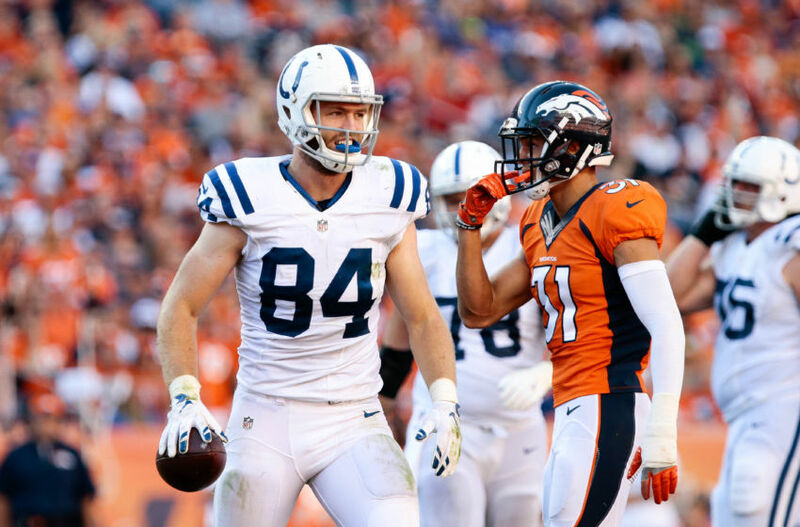 Jack Doyle, who stayed with the Colts in 2016 after receiving a qualifying offer from the team, had the best season of the three of them. One of the Colts best players in a forgettable season for the organization, Doyle caught 59 passes for 584 yards and five touchdowns. He was never a real threat for defenses, but Doyle consistently moved the chains and was more efficient than Allen at a fraction of the price. If the Patriots are interested in playing it safe by signing a decently productive, competent possession tight end who can do above-average work as an in-line blocker, then Doyle makes sense as a free agent purchase. There’s nothing especially praiseworthy about the 26-year-old, but Doyle will get the job done. The Patriots have pursued a variety of tight ends, stylistically speaking, as Gronkowski’s backup, and Doyle would be more of a prototypical tight end than players like Bennett or Tim Wright. Of course, what makes Bennett so valuable is that he can play any role as a tight end (much like Gronkowski), and the same cannot be said about the other tight ends in the 2017 free agent pool. Next: No. 4 The Most Dynamic? 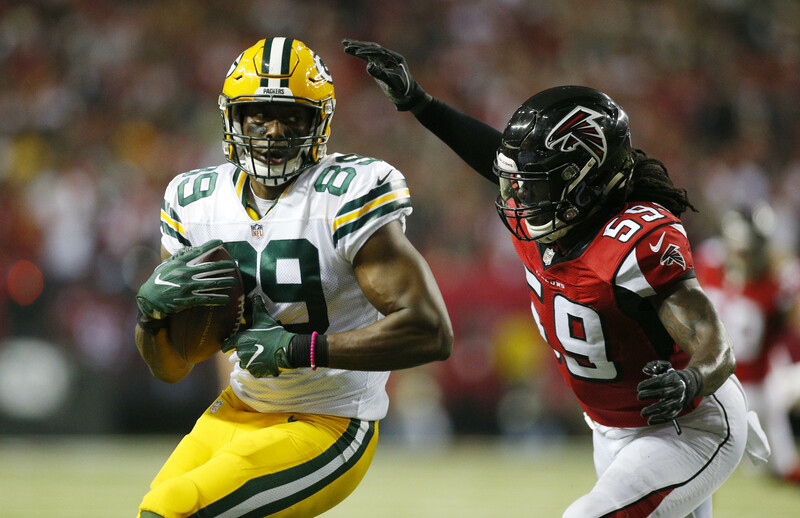 More likely than not, Jared Cook will end up staying with the Green Bay Packers. While he had problems with drops, that’s nothing new to Cook, and he had more positive moments than negative ones for the Packers, particularly in that memorable Divisional Round win over the Dallas Cowboys. In fact, the NFL Network’s Ian Rapoport reported that the Packers want to re-sign Cook. If they don’t, then the Patriots should strongly consider signing Cook if they have a vacancy at tight end. Cook cannot block, and he is not the most reliable player. He’s had several forgettable seasons with the Tennessee Titans and Los Angeles Rams, which gives him “bust” potential as a free agent signing. Plus, since he rehabbed his value after a strong season in Green Bay, he will not be a “no-risk” signing for a second-straight offseason. That said, Cook proved that when he’s given a favorable quarterback situation (he had previously caught passes from a who’s who of bad quarterbacks), he can shine. Cook’s 30 receptions for 377 yards and a touchdown looks thoroughly unimpressive on paper, but he kicked into another gear near the end of the year. 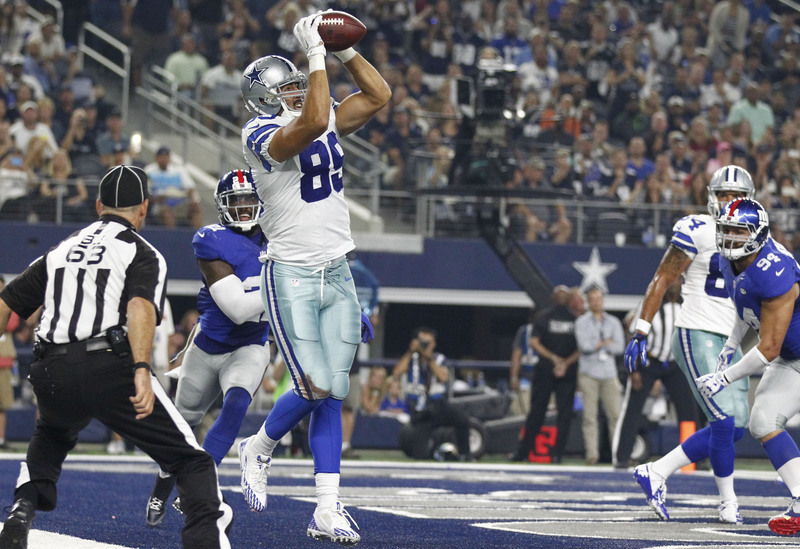 Cook had 85, 37, 56, 48, 103, and 78 receiving yards in his final six regular and postseason games. A motivated and confident Cook is a dangerous weapon at the tight end position, and he would certainly be at his best as a chess piece with Gronkowski also healthy and in the fold. Tom Brady knows exactly how to use a tight end to his strengths, as these players tend to have the best seasons of their careers with Brady calling the shots. The same should hold true for Cook, who could be the Pats only real potential “Plan B” if Bennett signs elsewhere. 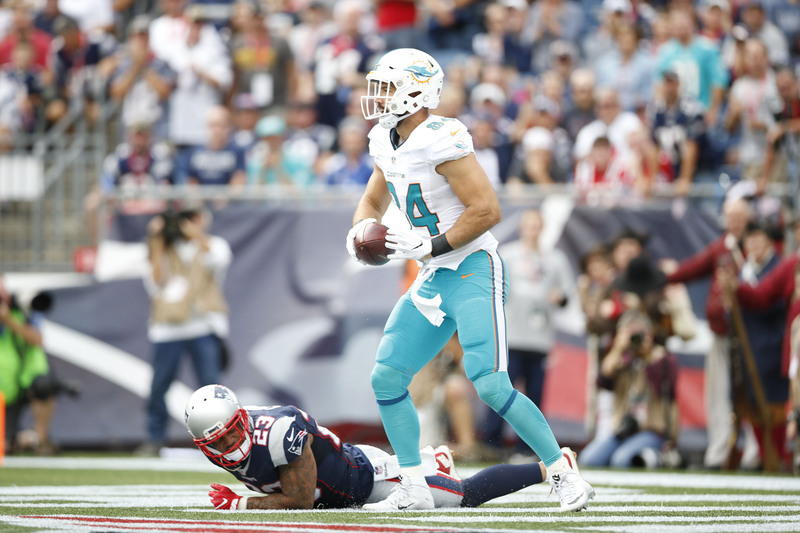 Remember back when Jordan Cameron was mentioned as one of the NFL’s elite tight ends? In the same year Josh Gordon set the league on fire with one of the best statistical seasons by a wide receiver in NFL history, Cameron hauled in 80 passes for 917 yards and seven touchdowns. In two seasons with the Miami Dolphins, Cameron caught 43 passes for 500 yards. Issues with concussions have put Cameron’s future in doubt, but he is an impending free agent who almost certainly won’t be back with the team. Not only could the Dolphins trade Branden Albert to the Jacksonville Jaguars for Julius Thomas, but they would be better off re-signing Dion Sims at the tight end position. The Patriots already have one injury-prone tight end to worry about, but they could decide to take a big gamble on Cameron, especially if they have their sights set on another tight end in free agency or the draft. It’s hard to deny Cameron’s talent as a pass-catcher, and while he’s even less effective as a blocker than Cook, the Patriots could be willing to overlook that negative aspect to his game. Cameron doesn’t make much sense for the Patriots, but I’d never put it past the Pats to take a flier on an upside signing at a valuable position. Next: No. 2 Reinvigorating A Bust? 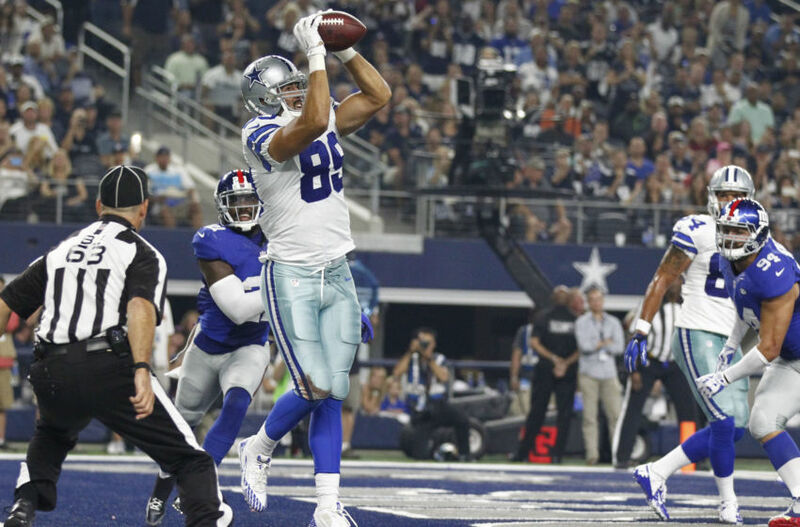 When the Dallas Cowboys drafted Gavin Escobar with the 47th overall pick, they probably envisioned him as a future star in an offense built around Tony Romo, serving as a dynamic second option at the tight end position to steady, future Hall of Famer Jason Witten. Escobar had all the tools on paper, but he’s never made it work in four seasons with the team. In fact, the former San Diego State star has never caught more than nine passes in a season, making him a big misfire on the part of the Cowboys. New England has been able to take another team’s miscast talent and turn that player into a useful cog in their machine. Escobar could be one of those cases, and there’s little doubt in my mind that he’d be available in free agency. The Cowboys should make no effort to re-sign a player who has offered them nothing, because even if Escobar can succeed in this league, it will almost certainly require a change of scenery. There’s no better place to rebound than New England, and you can look at Bennett as one example of this. Escobar would have more freedom to roam in Josh McDaniels’s offense, and he might not be as terrible as we think he is. Look, there’s no doubt that Escobar has been a disaster in this league, but there’s always the chance that other factors were at play. Escobar would be given a clean slate as Gronkowski’s backup in New England, and he could become a dynamic, touchdown-scoring option if all goes well. When Escobar was a draft prospect, plenty of fans wanted the Pats to take him, so his traits were once seen as overlapping with what the team looks for at the position. 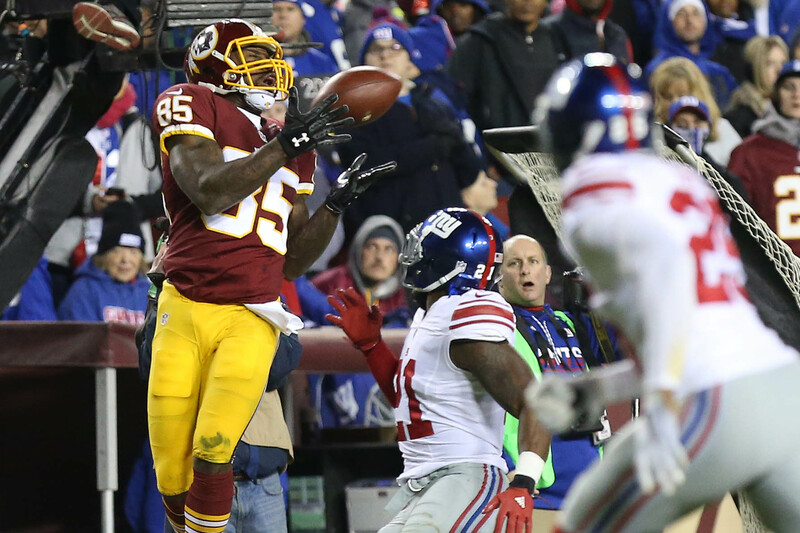 During his peak years with the San Francisco 49ers, Vernon Davis was one of the NFL’s most dynamic tight ends, and he once led the league with 13 receiving touchdowns. Davis fell off the map in 2014 when the Niners first started to tank, and it came just a season after he posted some ridiculous numbers, including 16.3 yards per reception and 13 touchdowns. Davis’s ability to stretch the seam and command targets in the red zone could be valuable to the Patriots. 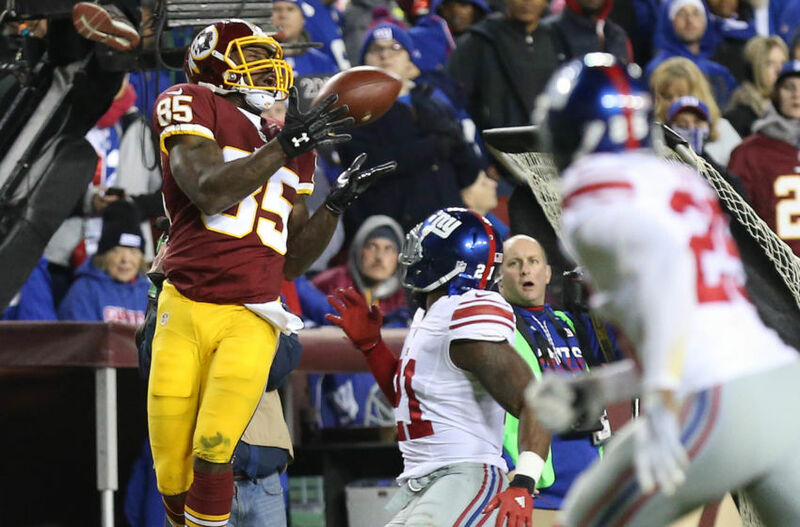 He flopped with the rival Denver Broncos after being a trade acquisition in 2015, but he proved to be a valuable secondary option at tight end for the Washington Redskins, catching 44 passes for 583 yards in a productive bounce-back season with Kirk Cousins. He could be even better in New England if the Patriots are interested in taking the plunge. Davis is 33, but he does a great job of staying healthy and in shape. He rarely misses games, it seems like he’s fixed the brief issues with drops that plagued him in Denver, and he is a professional. If Gronkowski ever has to miss time, he could seamlessly step in and ball, which is something he did for the Redskins whenever Jordan Reed went down. Because of this, the Redskins are keen on keeping him, as ESPN.com’s John Keim wrote that the team has already talked about signing him to a new deal. 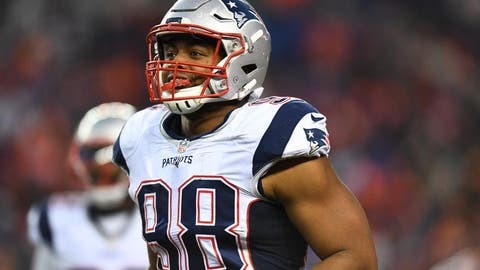 It would almost certainly be another cheap, one-year contract, and that’s the sort of deal the Patriots could afford to give to an above-average, healthy, and experienced TE2 if he fails to re-sign with Washington.